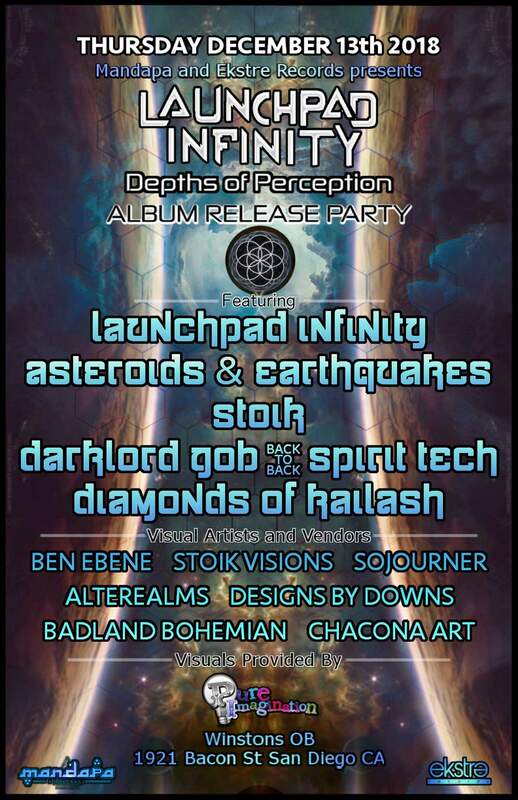 Mandapa and Ekstre Records welcome you to the Launchpad Infinity Depths of Perception album release party at WinstonsOB in San Diego, Thursday December 13th. Launchpad Infinity's new album Depths of Perception was just released on September 24th with Ekstre Records. To celebrate this 13 track Lp, Mandapa and Ekstre Records are teaming up to bring you a night of high quality Bass Music, Live Art, Vendors, Visual production and all the good vibes you can handle.